ODM Nominations in Narok and Samburu affected by Massive irregularities as six people got arrested with filled papers. - Bana Kenya News, Real African Network Tubanane. Home News ODM Nominations in Narok and Samburu affected by Massive irregularities as six people got arrested with filled papers. ODM Nominations in Narok and Samburu affected by Massive irregularities as six people got arrested with filled papers. ODM Nominations hit by massive irregularities in Samburu and Narok Counties. The nominations had a lot of hitches following ballot papers misplaced and missing register. Some of the Aspirants were found to have filled ballot papers. According to the Stephen Kyenze, Transmara West acting deputy OCPD, among the arrest include aspirant. It had been reported that Kilgoris MP aspirant Peter Oiboo, a lawyer, was one of those found with the marked papers. “One of the aspirants for the parliamentary seat, Joseph ole Siparo, informed us that some people masquerading as agents with ballot papers with serial numbers.” kyenze said. There was confusion earlier regarding the contest for the senate seat by candidates Ledama ole Kina and Sirere Maitai. Ole Kina, the front-runner, had claimed lack of opposition and Maitai denied this saying the people had to choose between them. For the woman representative nomination, Rebecca Tonkei faced Eunice Marima and Pauline Kinyarokuo. The filled papers were in favour of Rebecca Tonkei. 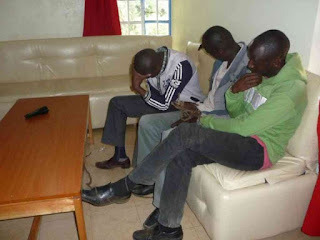 The ones arrest with the papers were taken to custody waiting for the Aspirant to record a statement. The ODM nominations led to the injure of an official in the Webuye fracas. Webuye sub-branch secretary Martin Juma was hospitalised after he was beaten up at Webuye primary by the angry ODM supporters after he was found in Manipulation of some of the official papers.